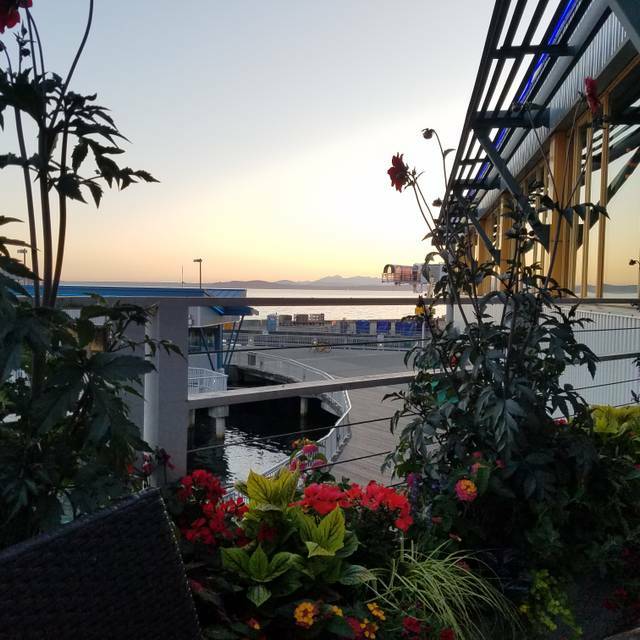 Anthony's Pier 66 offers complimentary valet parking beginning at 4:30 p.m., located on Alaskan Way just North of the restaurant. Signs are posted at street level for your convenience. If you prefer to self park, validated parking is available in the Art Institute Parking Garage. Bring your parking voucher with you for validation. 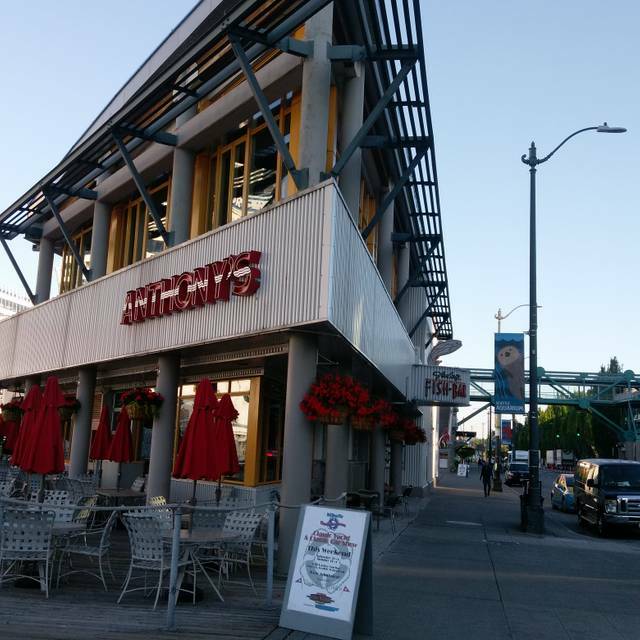 Anthony's Pier 66 is located on the downtown Seattle waterfront in the same building as Anthony's Bell St. Diner and Anthony's Fish Bar. 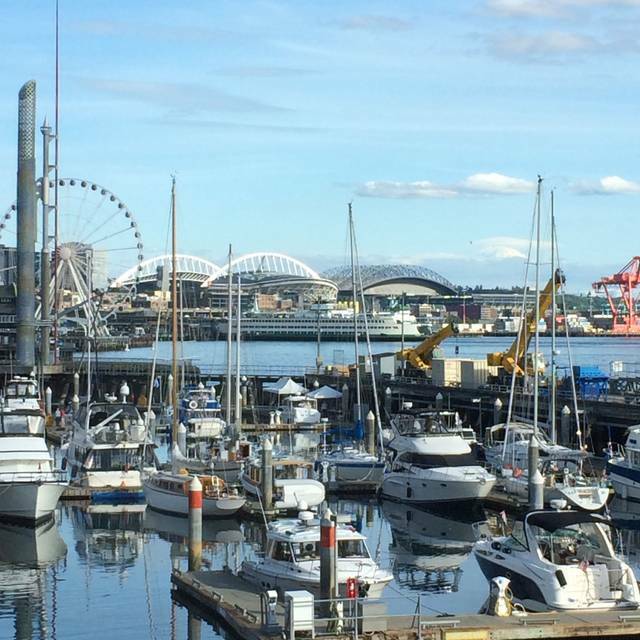 Anthony's Pier 66 is a premier Northwest seafood restaurant with panoramic views of the downtown Seattle skyline, Mt. Rainier, and Elliott Bay's boating activity. 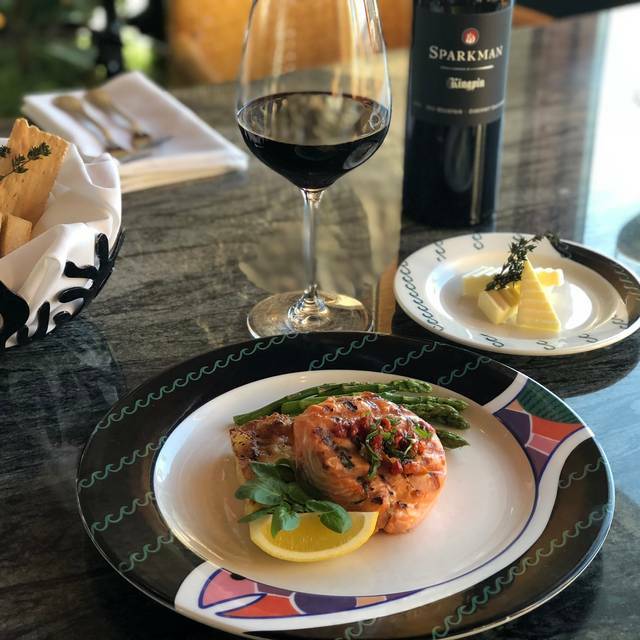 Anthony's Pier 66 features fresh Northwest seafood simply prepared, in a contemporary, sophisticated waterfront setting. Our Casual Bell Street Diner and walk up good food to go Fish Bar are both located on our Plaza level. Easter Brunch was great! The price was good considering a mimosa, blueberry coffee cake, and a fruit plate was included in the price. Everything tasted great, the service was excellent, and the environment was pleasant. We had a large group of 10, yet we had plenty of space. You know what? It was pretty good! Good enough that I have been puzzling why the place was so empty at 7:30 on a Friday (being a fish restaurant during lent no less). Maybe that is just too early for downtown Seattle? If not then perhaps the prices are just a bit too high for what you get. Gone are the days of the Sunset special. We were at $480 for 6 people. We shared a couple salads and desserts, 2 glasses of wine and 2 cocktails...not surprising $$ given the obviously expensive site but considering the steak doesn’t really have a sauce and my daughter’s was too rare for her to eat when we all ordered medium...maybe a little high for what you get? Excellent experience & a great evening! Food was very tasty & well served. We took advantage of Restaurant Week. The halibut entree was excellent as was the scallops. Our waiter Josh D. was very helpful, attentive, and provided good advice on wine. Great view! Valet car service was much appreciated and well managed. My wife and I were celebrating a big anniversary along with a BIG birthday. 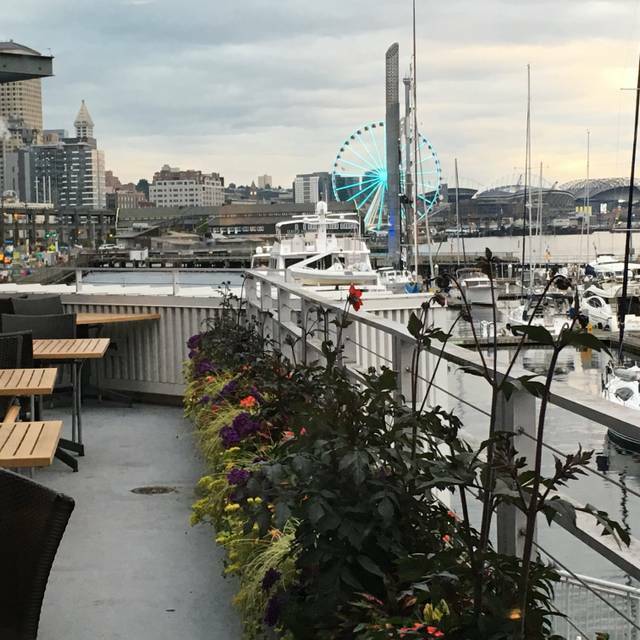 Happen to be in Seattle during restaurant week and Anthony's Pier 66 was one of our choices. Service was great, as was the 3 course dinner special offered for the week. The waiter also helped make the trip memorable with extra desserts. Delicious food, great service, beautiful view! Thanks! 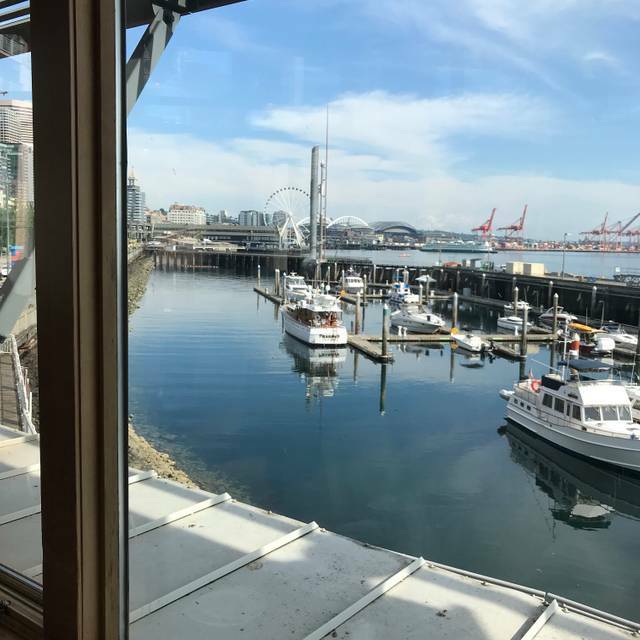 Marvelous restaurant and marvelous view of Seattle waterfront. Perfect place to invite out-of town friends! Great service and wonderful seafood. We attended Seattle restaurant week which made it a more affordable value. We had an excellent dinner at Anthony's Pier 66! 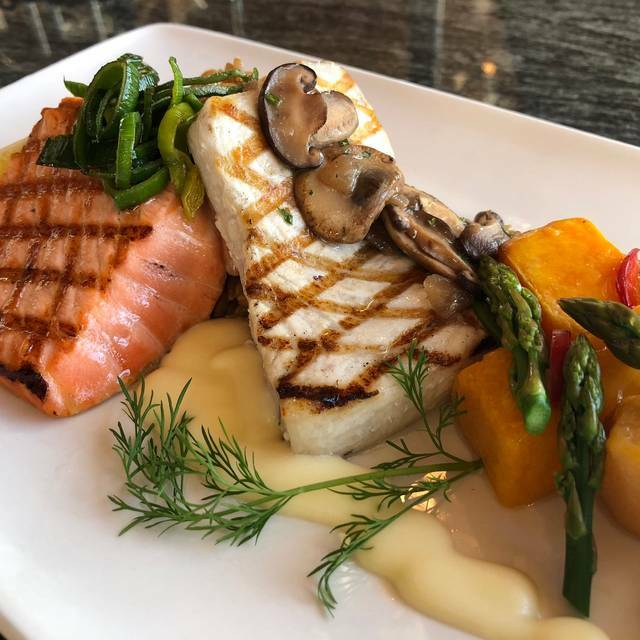 The menu offered many options, we selected the halibut! It was fresh and flavorful! The salad was delightful, and the dessert was scrumptious! The service was incredible! Friendly, informative, and always meeting our needs right on cue! The view cannot be beat! Beautiful evening watching the sunset on Elliot Bay, as the ferries crossed the Sound! As always Anthony's was amazing! The food, the view and the service were all top notch! It's one of our all time favorite restaurants! The servers were a joke. Didn’t introduce himself, food came out and no one knew where it went. This was for apps and main meal. For the price and our 6 person group was pretty shocked by all of this. On a positive note, the food was good and we enjoyed the wine we picked. We wish we had discovered this restaurant sooner. The seafood was fresh and perfectly cooked. The sides were simple but also perfectly cooked. Presentation was simple (not pretentious). We love the commitment to local catch and local wines; we discovered a new Washington wine that we really liked. Service was outstanding - attentive without being intrusive. The only slight negative was that our mains appeared within about 1 minute of our appetizer plates being cleared. Our new “local”. Great place to go on a visit to Seattle. The food was a little pricey, but still worth checking out. We ordered the halibut and scallops. Both were tremendous main dishes. Nice, relaxing dinner with a great view, delicious food and excellent service. A bit pricey, but worth it. I am a fan of Anthony's Pier 66 Seafood on Puget Sound in Seattle. 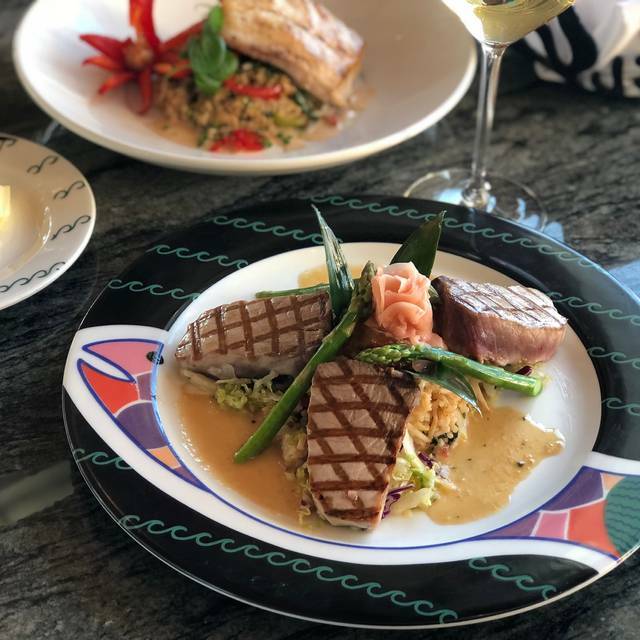 The seafood is always fresh, and delicious. The service is excellent. The view is spectacular on the water. So wonderful. The view is awesome. The food was delicious. Service was great. We love this place, the food and service are always excellent. We were lucky with March weather that was like summer and enjoyed an outdoor table with gorgeous sunset. King crab legs never disappoint, crab cakes and crab fettuccine superb. The Oyster's Rockefeller was exceptional as was the bread, crab cakes and desserts. They didn't ask how I wanted the salmon cooked, and it was medium, which was overcooked for me. Also there was too much butter on the broccoli. Great view especially at sunset. The food was amazing and our waitress couldn’t have paid less attention to us. We watched her chat with other wait staff as we waited for a dessert menu, coffee, our checks. We were a big party, she could have gotten another round of drinks from us had she bothered to check. Thank goodness the food was delicious. The food obviously sat under a heat lamp. They were out of the feature item. Nice staff. Food wasn’t bad just not superb for the price. Beautiful view, delicious food, wine and dessert. Our friends visiting from out of town were impressed. We usually go to the Kirkland Anthony's but this will make the trip into the city for special occasions from now on! We have been to Anthony's several times, and have always been very pleased with our meals and the atmosphere. This time the atmosphere was great, but we were disappointed with a couple of the meals. Unfortunately mahi-mahi was not available. The waiter said that they had just run out - at 6:45 on a Thursday! The raw oysters were great, but the crispy oysters were disappointing. Not a great evening. Great service and great food. A little pricey but well worth it! Beautiful views, delicious seafood, lovely ambiance. A bit outdated decor, but outstanding views and service! While I have enjoyed this restaurant in the past, this experience will lead me not to return in the future. The service was slow, and could best be described as unweloming. A water refill took 40 minutes and a complaint about the food was not acknowledged. The calm chowder was amazing unfortunately my Ahi came cold. When they reheated it was over cooked on outside and lukewarm in the inside. The staff was kind enough to comp our dinner and provided an amazing dessert. I ordered the Lemon Risotto with Prawns. The prawns were cooked with a very spicy seasoning to the point that I could only eat a couple of them. I had head and neck radiation and cannot tolerate anything this spicy. There was nothing in the menu description that would have indicated the spiciness. I went to dinner early. They got busy and of course when you dine alone you get ignored with refills of water which was true here. The martini was WAY overpriced $16.50! However the clam chowder was some of the best I have had. Your table was waiting for us upon arrival, so we were seated immediately. They were not completely booked so we got a lot of attention on the menu from the waiter. We had a great evening.